I often think about this relentless striving to be more, do more and to continue to better ourselves. The beginning of each year is a time when this message becomes excessively loud. The “how to” of creating a “new you” is E.V.E.R.Y.W.H.E.R.E. Of course I believe in self development and growth, because that forms part of the work I do in my clinical practice, yet this message of striving to become a new version of ourselves feels like it carries an undertone of unworthiness to me. Why else would we want to be a NEW version of ourselves? Are we trying to eradicate the very truth that we are actually worthy human beings just by being here? One of my ambitions last year was to attend a 9 day Vipassana retreat, which I was very blessed to actually achieve. I have done a couple of shorter silent meditation retreats in the past, so this time I had a fair idea of what to expect. What I didn’t expect though was the intense tiredness I felt for the first few days. Every spare moment, in between the formal sittings, I took naps. I meditated, ate and rested. It took a few days before I actually had enough energy and desire to go for some longer walks. My body was tired because my mind was so full and had been so overstimulated. The thing is, it is only in this intentional stillness that I can really notice how much my mind is racing. Though I don’t consider myself someone who is extreme, doing something as radical as spending time in silence and meditating for hours over the course of a week has been one of the best forms of resting and recovering for me. I know this is not for everyone and you have to find what works for you, of course. Going on retreat where the outside stimuli is virtual nil has been the only way for me to completely let go. It’s not easy, but it has been possible, and so rewarding. With this experience freshly in my mind one of my intentions for 2019 is definitely to let go more, to be more present and to allow my life to unfold more than me constantly pushing and striving. This doesn’t mean that I don’t have ambitions for things I’d like to happen, places I’d like to see and conversations I want to have, it just means that I am more open than attached to outcome. Basically I am taking more of a curious approach this year. Let’s see what will happen! 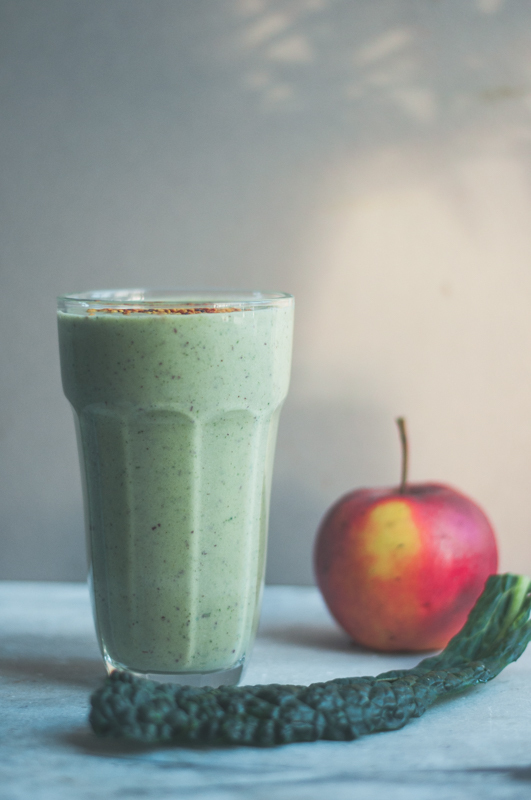 Before I move on to sharing my first recipe of this year, a green smoothie with some seasonal ingredients, I want to circle back to the self development topic. If we stop striving for being some different version of ourselves then what? Should we just give up on the self development project altogether? I like to think about self development work more like a homecoming. A way to really get to know ourselves and to develop the skills, resilience and courage to live our lives on our own terms. To be able to be more of whom we are, rather than what society think we should be. So any tools and practices that helps us returning home to ourselves, to peel of all the layers of expectations and external driven motivations get my vote. If you want to spend this year getting curious about your strengths and weaknesses, about what makes you tick and about what brings you joy, just know that I will be here cheering you on all the way. Just know that regardless of what you do, or don’t do, you are still enough and worthy just by being you. So now to this recipe. Yeah, posting a green smoothie recipe in January does feel a little like playing into the hands of Diet Culture, but I also know that my body craves fresh foods and greens after all the holiday foods. 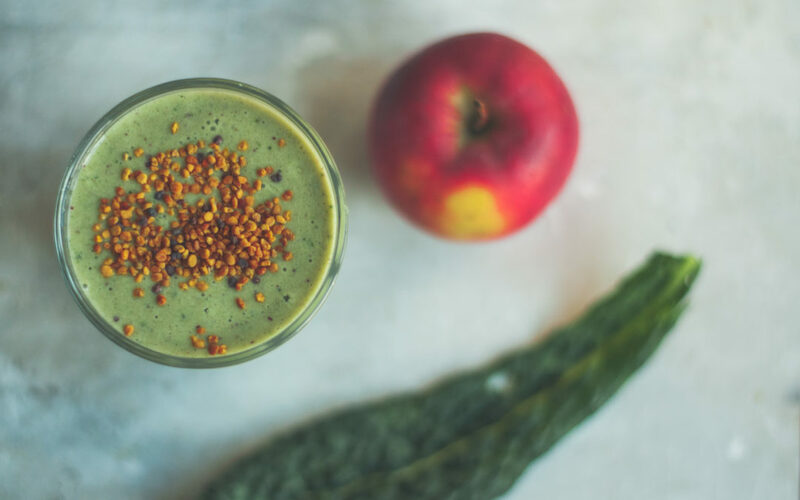 However, when we’ve given ourselves full permission to enjoy all foods and eat (at least mostly) from a place of attunement, having a green smoothie doesn’t HAVE to mean that we are jumping on the diet bandwagon. I have to admit that cold smoothies in cold weather is not my usual go to either, but this seasonal combination is so delicious and having a smoothie is a quick and easy way to consume something green, when you are craving it! 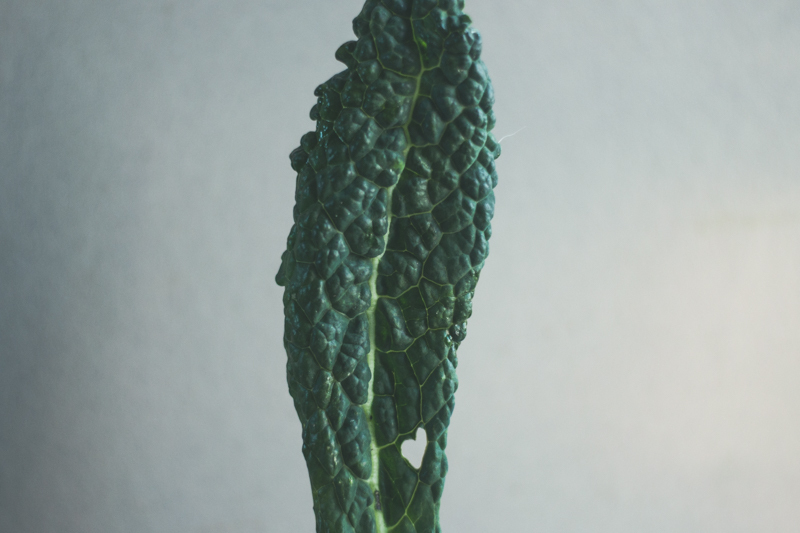 A few leaves of green kale, stems removed & roughly chopped – I used cavolo nero here. Place all ingredients in your blender and blend until smooth. If you are using dates, don’t forget to remove the stones! I personally like my smoothies at room temperature, but if you like them colder you can either use frozen banana slices in place of the fresh banana or ad some ice. Just make sure your blender can handle it. Enjoy! 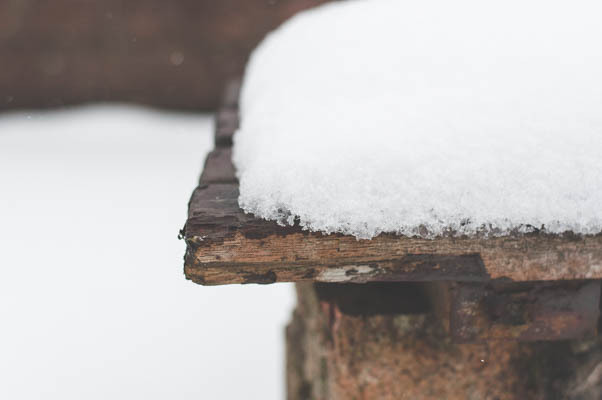 Normally I post new blogs on Sunday afternoon, but with this recent spell of snow(!) and winter weather I decided that I might as well post this as I write it. 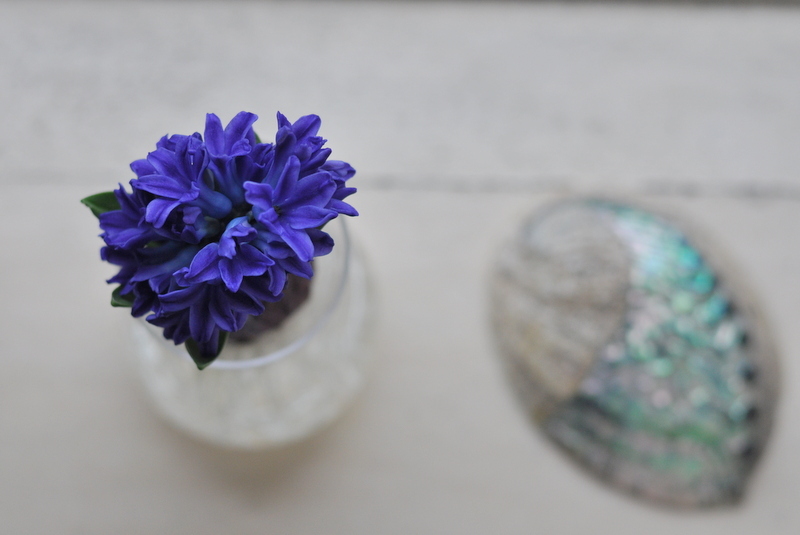 And after a little hiatus I posted this blog earlier this week, so there you go. I know I’m not the greatest at consistency. I think variety is more my style. 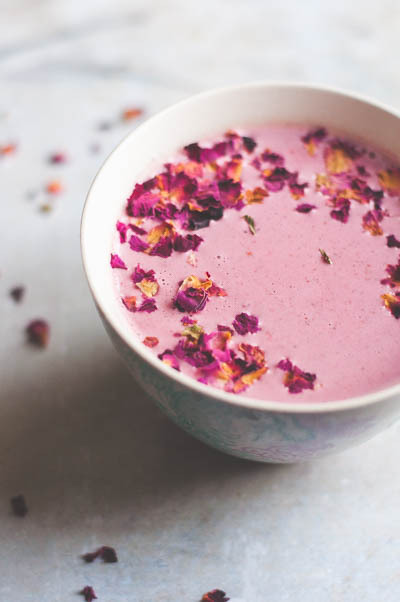 Whilst contemplating if I should dress up and take the 5 min walk to the shop or if I should in fact stay put, finish writing this blog post and then chill with a cup of this pink beauty and the latest book I am reading in front of the fire, the rain is slowly melting the snow outside. It was definitely beautiful whilst lasting and reminded me of winters growing up back in Sweden. Yet I am so ready for Spring now! Ready for longer brighter days, ready to prepare some raised beds and order some vegetable seeds and ready for a new season to arrive. While you are waiting though, enjoy this warming drink and there are a good few new recipes lined up, coming your way over the coming weeks. More warming dishes to enjoy, whilst we are waiting and contemplating. Since I am such a cardamom fan, I loved cardamom added here. 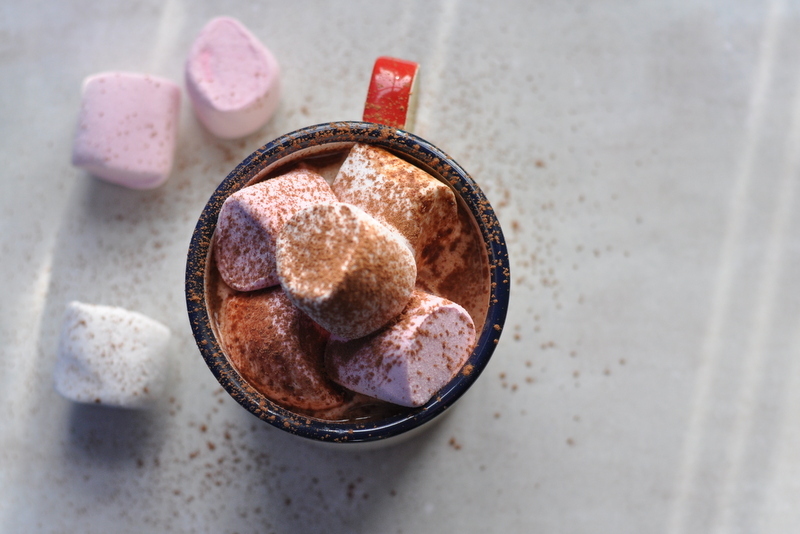 If that’s not your cup of tea (pardon the pun) then you could try another variation that I made some time ago which was a hot chocolate type drink, with some beetroot powder + a pinch of chili. Dried beetroot powder is available in health food shops. It is kind of sweet and a great way to colour foods naturally. Add milk and the rest of the ingredients to a small heavy based saucepan. Gently heat your drink whilst whisking all the ingredient together. Just before reaching boiling point remove from heat and serve. If you want to pretty it up you can add some edible dried rose petals! P.S I have *finally* signed up to Lightroom and started to play around with presets (kind of like filters). Please bear with me a as I am learning this new creative skill! Instead I get to practice sitting with my feelings, of disappointment or even anger. I also get the opportunity to practice courage and trust. (Or should it be “the courage to trust”?). 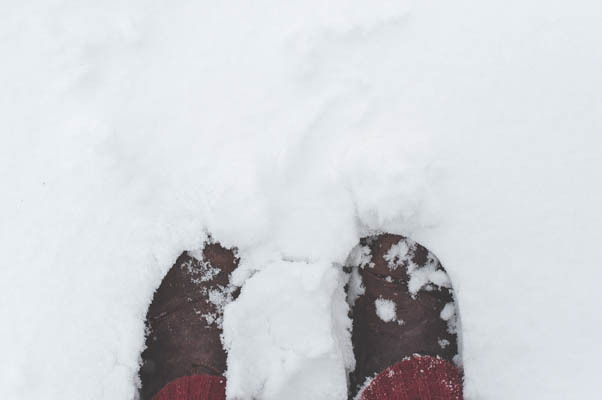 Amidst this experiment of trying to live with the openness to the FLOW of life, I found this article by Sharon Salzberg, on one of my favourite websites On Being. It spoke to some of the ambivalence I do feel in making a choice like this. Because if you are not actively pursuing your dream life are you letting yourself go and giving up? Or am I just trying to give up on the suffering holding on to an expectation of a specific outcome is giving me? This train of thought lead me to another observation this week. One of my colleagues in one of the FB forums that I am in shared a great resource for other things to do when we notice a desire to eat even though we are not physically hungry. I definitely things it is great to have lists of ideas of other thing to do rather than using food as a coping mechanism, even though in the journey to make peace with food there still have to be an unconditional permission to eat. Otherwise we may still end up subconsciously restrict, which can then backfire into over-eating later. The thing is though if we move directly from noticing that we are reaching for food, without pausing to check in for what it is we are currently emotionally experiencing and move right on to the next non-eating distraction, we miss the chance to see what’s underneath the habitual impulse to reach for food. In the pause we can notice what is there, and follow up with a questions of “What do I need right now? Depending on the emotion you may discover a different need. Sadness may require the comforting from another human being, or a pet (they are my personal favourites). Happiness may require simply some revelling in, because it can be oh-so-fleeting. Boredom is a particular interesting one. To be honest, I’m not sure if dealing with boredom through distraction, eating or otherwise is the best strategy. If we can simply be with it, boredom can open doors to a whole world of inner discoveries. Or we may discover that it is simply a passing state and part of our human experience. One day during this week I noticed my need for comfort. Not as a way to deal with a particular emotion, more like a way of taking care of myself. A self care ritual of sorts. Comfort eating get such a bad rap, because it is seen like a way numbing out, escapism and sometimes as punishment even. Which may be true. However to me it is only a problem if we comfort eat in a way that doesn’t leave us feeling comfortable and nourished by neither the food nor the act of eating. 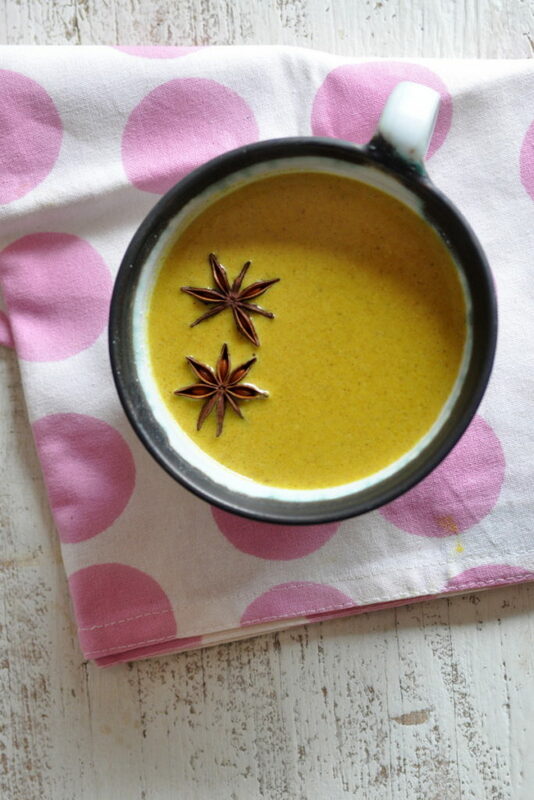 This recipe is one that brings me comfort on wet, cold and grey January days. Especially when consumed in front of the fire, with a good book in hand, dog in lap (which is optional + a little risky considering the hot liquid…). It is also one that I intend to include, or some version thereof, in my first recipe book. Which I have still no idea of how or when it will come out. Before the end of the year at least…! So here’s to comfort foods and comfort eating that leaves you feeling comforted, satisfied and well nourished. Place all ingredients in a clean, dry glass jar and mix until they are all well combined. Measure out your milk of choice (cow’s milk or plant milk). For practicality I tend to pour the milk first into the cup I intend to drink from, to get the right volume. Then add the milk to a small saucepan. Allow roughly a tbsp. of chocolate powder per cup/ person. Add the chocolate powder to the milk. Whisk rapidly as you are gently heating up the milk. Keep whisking to prevent the milk from burning at the bottom of the pan. Avoid boiling, as if you are using plant based milk it may separate. 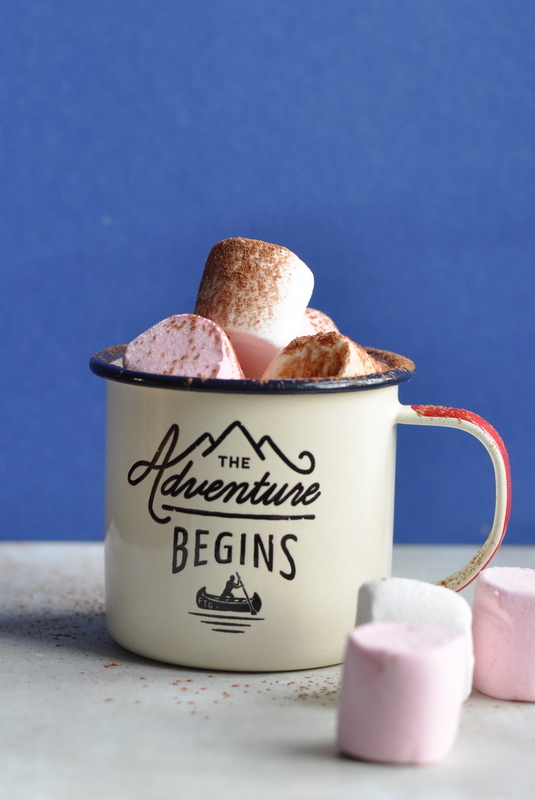 Your hot chocolate drink is ready just before it reaches boiling point. 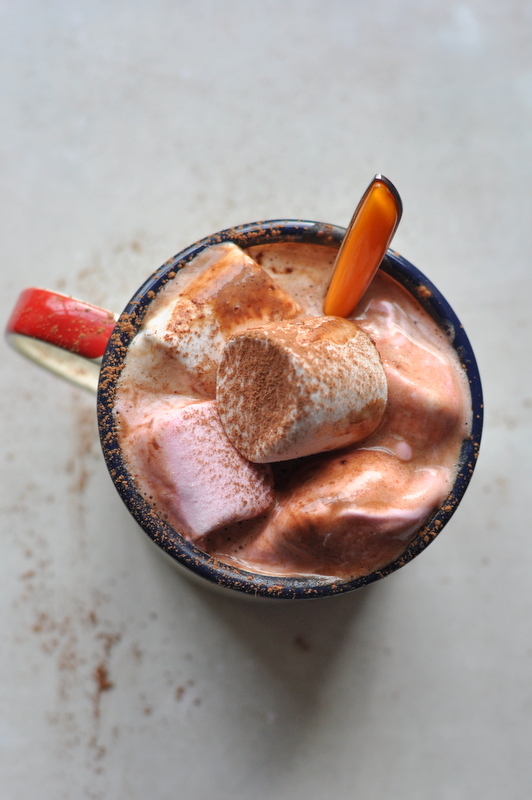 If you didn’t add any sugar to your cacao mix, now is a good time to add it to the hot drink. Honey or maple syrup are really delicious. Pour it back into your cup of choice for serving and enjoy! After what feels like almost two weeks at full speed, I decided, no actually my body told me loud and clear, that it is about time to take a day which include some selfcare. To me that includes, spending time outside, preferably some walking in the forest as well as filling my body up on some colourful foods. And since we are enjoying some Spring-like weather for the past few days, with apparently more to come, smoothies are back on the menu again. Do you prioritise your own sleep? And if so, what does your routine look like? 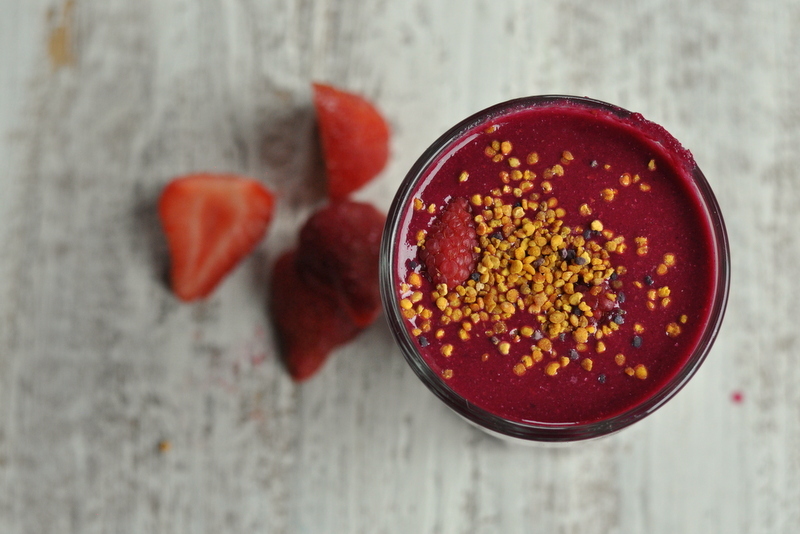 It took me some time to warm to the idea of adding raw beetroot to a smoothie, but once I had tried it with some berries, there was no way of going back! 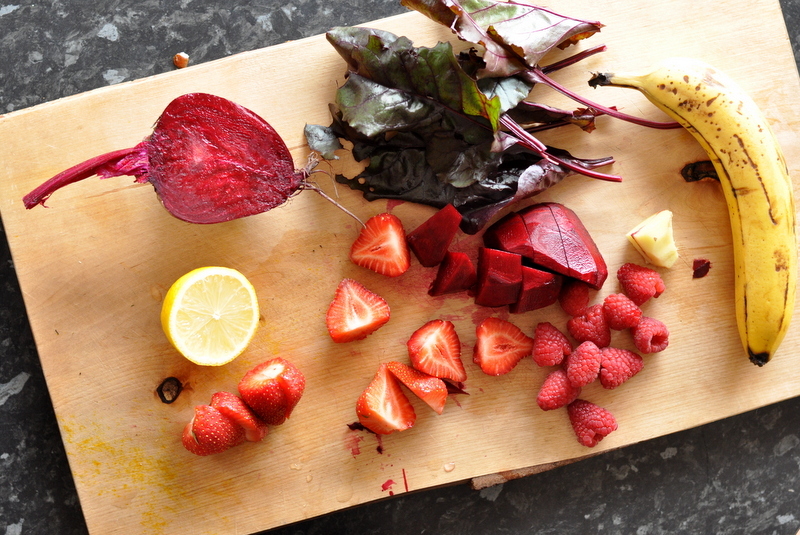 Beetroot is such a powerful veg, with phytonutrients that support our liver and blood. As well as that, as a root veg it is also full of fiber to help keep the blood sugar stable, give the stomach a sense of fullness and the bowel moving. In this recipe I use banana as a sweetener but to be honest, mostly for texture as without it I found that you end up with a more “gritty” texture, that is not to everyone’s palate. I also tend to use raw ones, but since the consistency tends to change when they are cooked, it would be interesting experiencing using a cooked one instead. If you do, let me know! And probably best to cook a few and then use a spare one for your morning smoothie, as they take an age to cook…! The leaves I used here are a variety that I grew last year called “Bulls Eye”. They kind of look like beetroot tops. 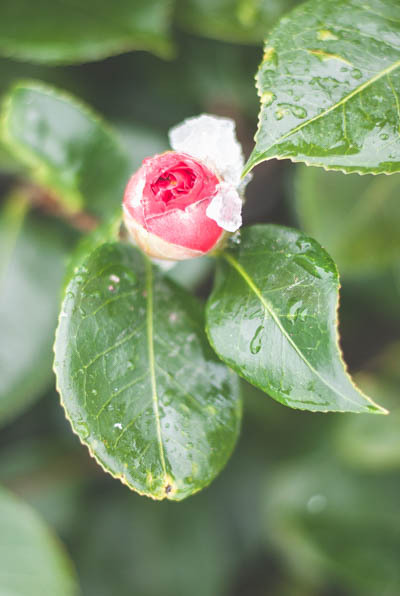 If you can’t get hold of some, use a few leaves of spinach, rainbow chard or if you can get organic beetroots that still have their leaves attached you can use a few of them. The talk of home grown veg together with the current warmth from the sun makes me look forward to the weekend already when my plan is to clear my raised beds to get them prepared for planting in a few weeks time. Must order some seeds too! Place all ingredients in your blender. Blend until smooth, Drink and enjoy! I actually made a little video for this recipe too. Expect to see some more of these types of videos happening this year, since I’ve just bought an extension arm for my tripod! 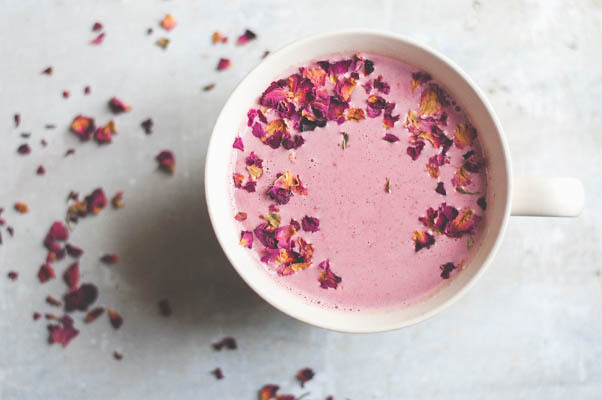 This hot drink is surprisingly easy to make, so don’t be put off just by looking at the (long) ingredients list! Admittedly that used to be one of the things that was a deciding factor for me in the past when trying out new recipes, but slowly but surely I’ve extended my both my skills and my spice selection, through evoking some curiosity and a desire to keep pushing outside my comfort zone. Like all things worth pursuing, it’s often outside that (in)famous comfort zone where some of the magic happens. As the seasons change, it thought it was time to have something warming and nourishing back on the menu and I feel myself back craving for more warm comforting meals and warming foods which means more spices. This week, we are more than half ways through Whole Detox, and we’ve traveled through from rooty red to the gorgeous gracious greens of love. 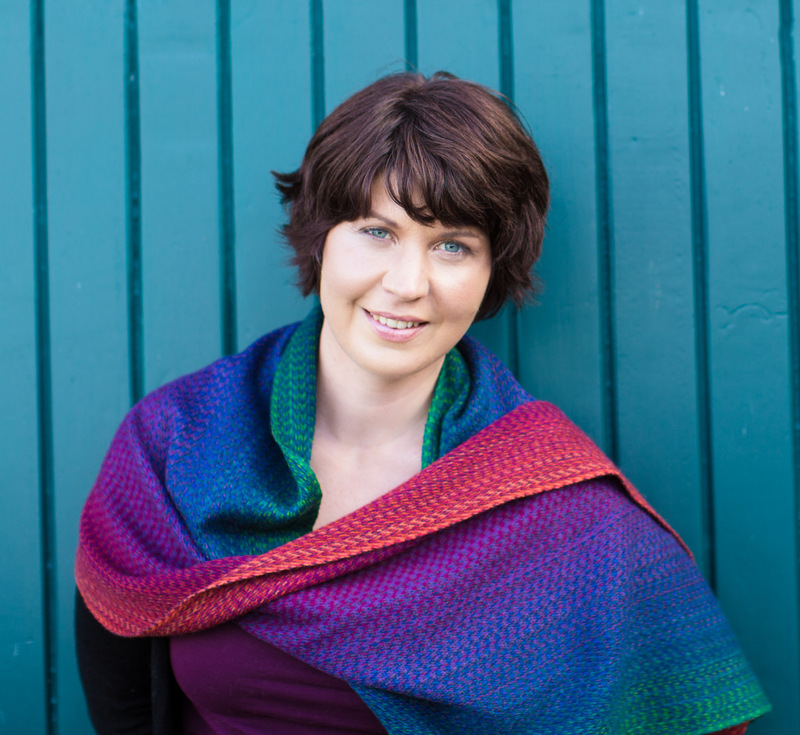 For the final week we are moving into TRUTH, INSIGHT and SPIRIT, which is usually great fun, albeit uncomfortable at times when it comes to unraveling and walking on our path of self-discovery. The other thing apart, from all the delicious focus on eating lots of colourful foods, is the nourishing community. The support, care and camaraderie, found in a small space online is just great. I think we sometimes forget how important it is for our wellbeing to surround ourselves with likeminded people. And as well as that, when we are working though difficult things such as negative thought patterns and emotions, both sharing our stories with others in a safe space and to be witness to other people’s stories is so healing. I feel like when we read and listen to others’ stories that we realise that we are in fact not alone in our human struggles. Somewhere out there is someone else who has been through something similar and we can take comfort in this, knowing that what we are feeling is normal. For me hearing about other people journeys through difficult times have given me both hope and courage to carry on believing in possibilities of change, when I’ve been in a head space that’s made it difficult to imagine so for myself. And the resilience of the human spirit never seem to amaze me either. But let’s return to the recipe! 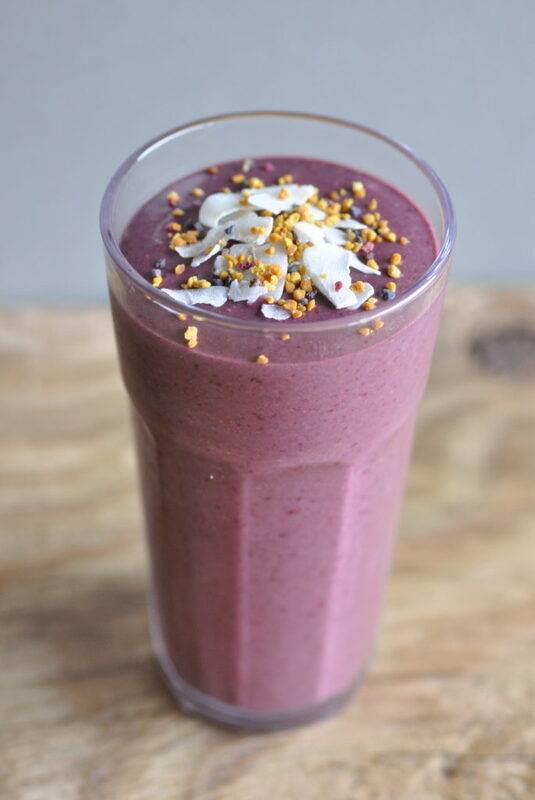 This one actually came about as an inspiration from one of the recipes in Whole Detox called “Spice Shake”. Then I spotted that one of the other participants had made a warm version, simply by heating up the ingredients! Which totally appeals to m at the moment, satisfying all my cravings for warm nourishing comfort foods. I’ve seen some variations of this type of drink around the internet over the past year or so, and I actually tried one, I think it was last year, but I was so put off by the overpowering combination of coconut and turmeric (which felt to me like I was drinking a curry!) so I abandoned the idea of having a go at it again. Normally this is the warming turmeric drink that I go for. But I think this one might be repeated! I have made a couple of tweaks to the original recipe that inspired me. One is to use cashew milk instead of almonds or other nuts. Cashew nuts are a good source of calcium, magnesium, iron and zinc. And they are really versatile as they are starchy but without insoluble fibre, which means they make the nicest and thickest nutmilk you can imagine and you don’t have to strain it either! However, you do need to plan ahead a little bit and get your nuts soaking the day before. Or at a push, for a few hours. It is worth it though and not actually much of an effort at all. 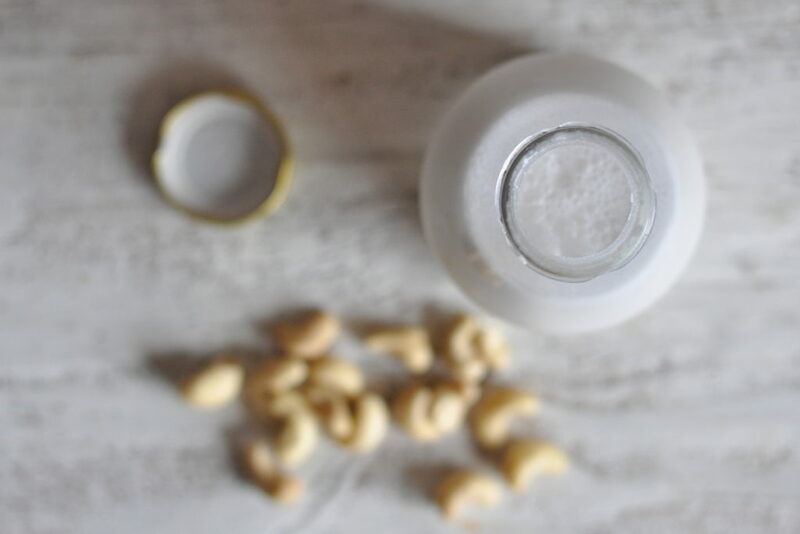 To make the cashew nut milk; Soak the nuts in enough water to cover, overnight. In the morning rinse and then blend with fresh water. Store in a glass bottle or jar until ready to use. 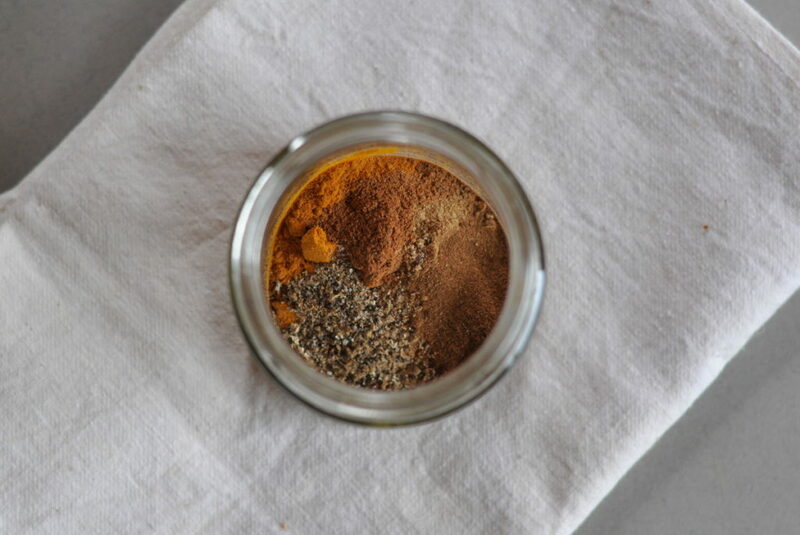 To make the spice mix: Add all ingredient into a small glass jar. Mix until well combined. To make the warm & spicy cashew milk drink; Add the cashew milk into a saucepan. I usually use the cup that I’m intending to serve out of as my measurement. 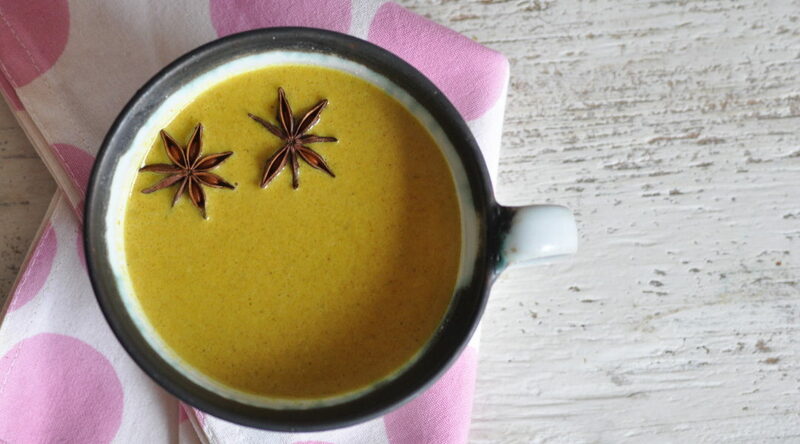 Add 1/2 tablespoon of spice blend per person to the milk plus one – two star anise. Gently health the milk whilst stirring with a whisk. Once the milk is warmed through, add the coconut oil, if using as well as the honey or maple syrup. Give it all another whisk so that the oil and sweeteners are dispersed throughout. Let the purple theme continue! And the smoothie one too, of course. Purple is my favourite colour. So of course it made total sense to create a smoothie that was purple. It seems like late summer / early autumn is the natural season for purple foods. In the past few weeks I’ve foraged some wild blueberries / bilberries as well as blackberries from the hedgerows out the back of where I live. On my last few walks I’ve also spied some lovely damsons and lots of elderberries. If the weekend allows I think I will go ahead and make some of this, which will make a nice one to keep any colds and flues at bay as the weather shifts. This transitional time of the year is one when I’m most likely to get sick, so it may just be a good idea to stay on top of it! 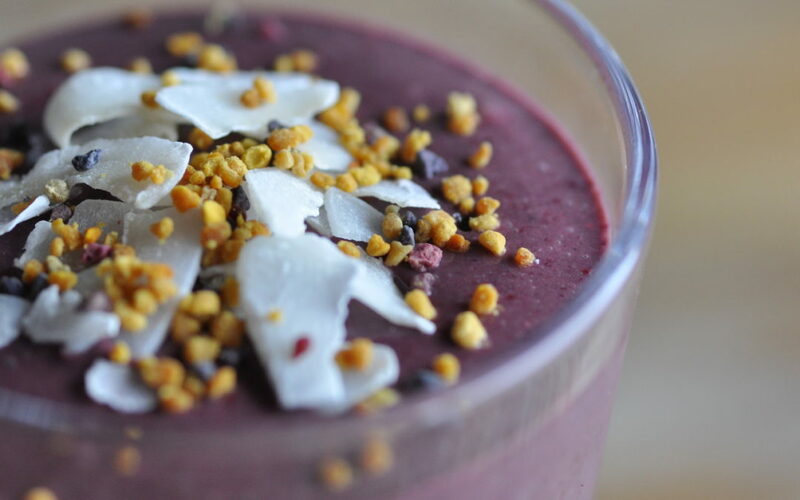 You know, the idea for this smoothie came initially from creating something “hidden”. Not everybody enjoy drinking the colour green. 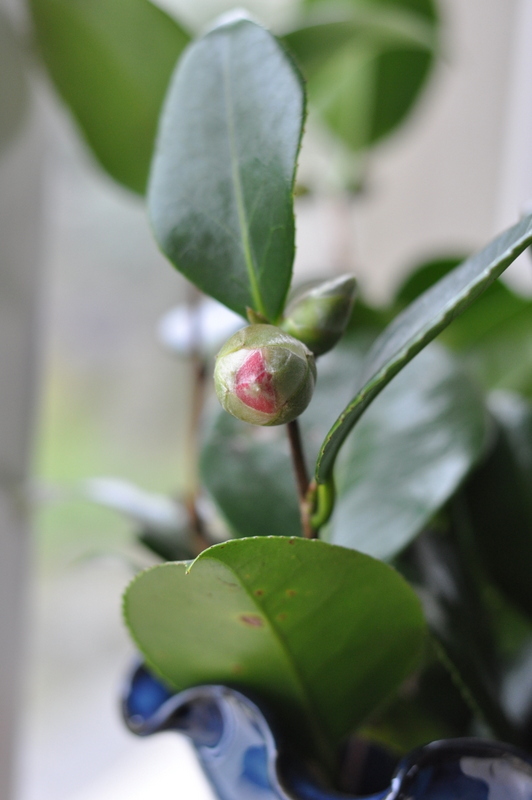 So what I did was put a few green leaves with something that would blend them into another colour. I’ve mentioned before that blending red and green is usually not a brilliant idea. You might get away with a few leaves of spinach with beetroot as it is so bright, but if you’ve ever tried spinach and strawberries… you know what I am talking about. 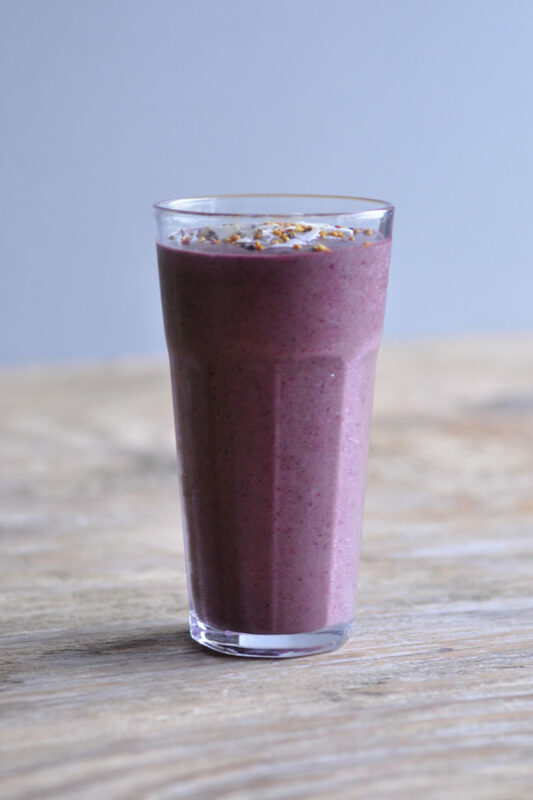 In this smoothie it is the blackberries that are providing most of the purple colour, but the blueberries bring equal beauty in form of taste, colour and nutrients. And if you have some blackcurrants throw them into the mix too! 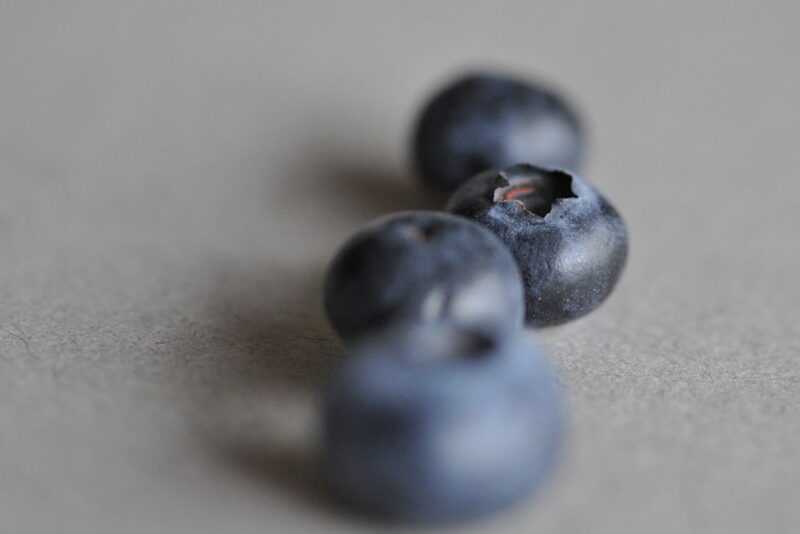 All these berries are a great source of vitamin C which is a major contributor to a healthy immune system. 1/2 tsp ground caramom – optional, but delicious! Place all the ingredients in your blender and blend until smooth. Feast your eyes on the purple delight. And feel the nourishment spreading throughout your body!